This patient was unhappy with the large gap between her 2 front teeth. But she didn’t want to close it completely because it was a family trait. 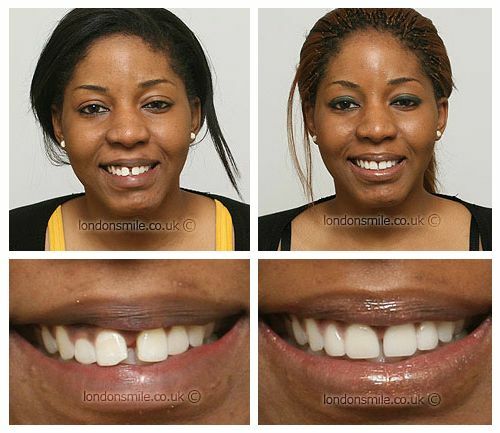 Porcelain veneers and a gum lift were used to reduce the gap and improve the proportions of the other front teeth.